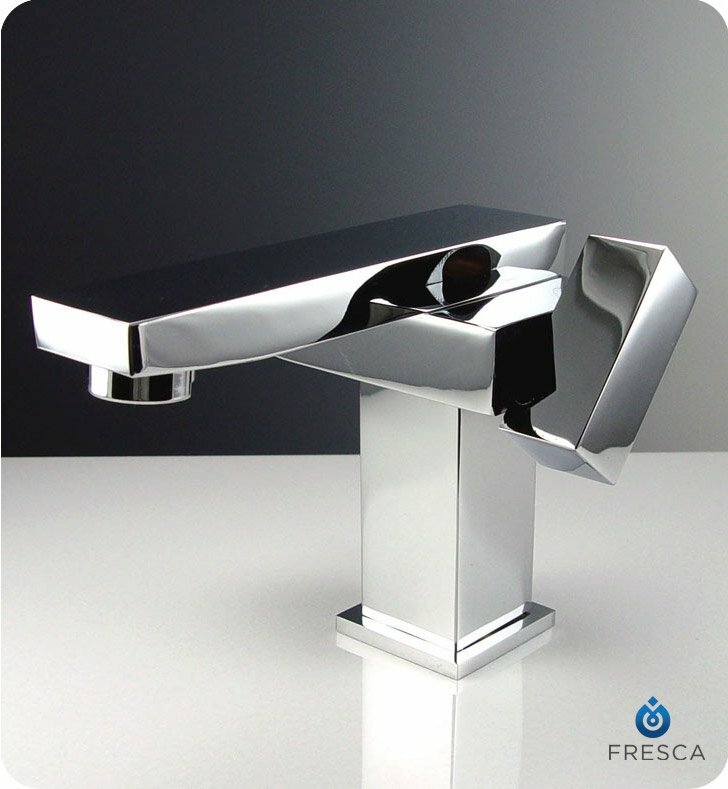 Give your bathroom an instant makeover, or complete a remodeling project, with this Fresca Orba Chrome Vanity/Bathroom Faucet, part FFT1051CH. The interlocking vertical lines and concealed handles make this faucet a unique combination of style and function. 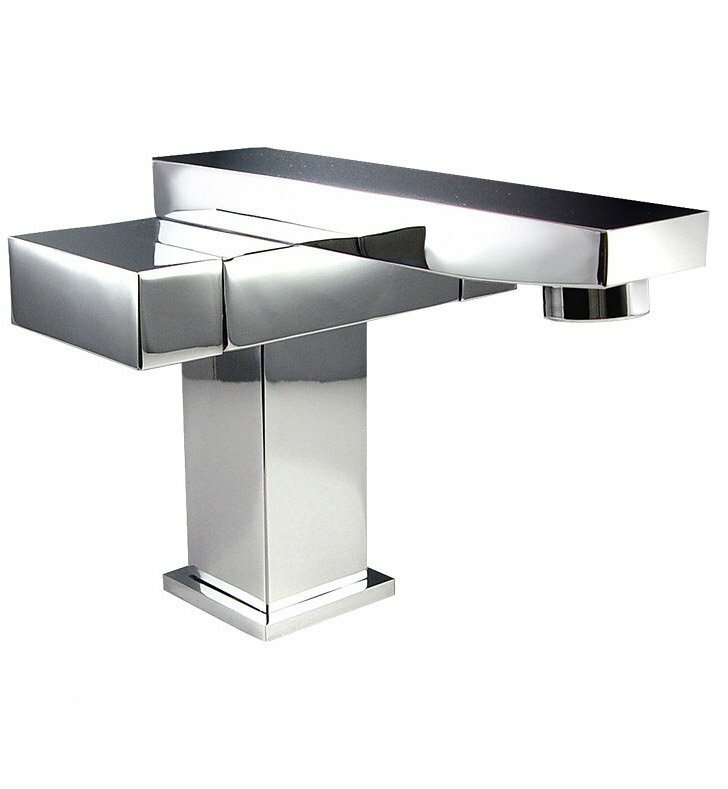 The chrome faucet has an attractive triple finish that blends in with almost any bathroom decor. Beneath the finish, the faucet is made from solid brass. The centerset faucet also features ceramic valves for watertight functionality and longevity. The item measures W 4 3/4" x D 5 5/8" x H 4 5/8". Dimensions: W 4 3/4" x D 5 5/8" x H 4 5/8"
Pros: Sleek look, I like. Cons: Placement should be closer to the sink.The space between faucet and sink gets wet. The only issue with this really modern faucet is that it does keep water marks from wet hands (turning it on and off) since it is flat. Very modern and good looking. I love it.